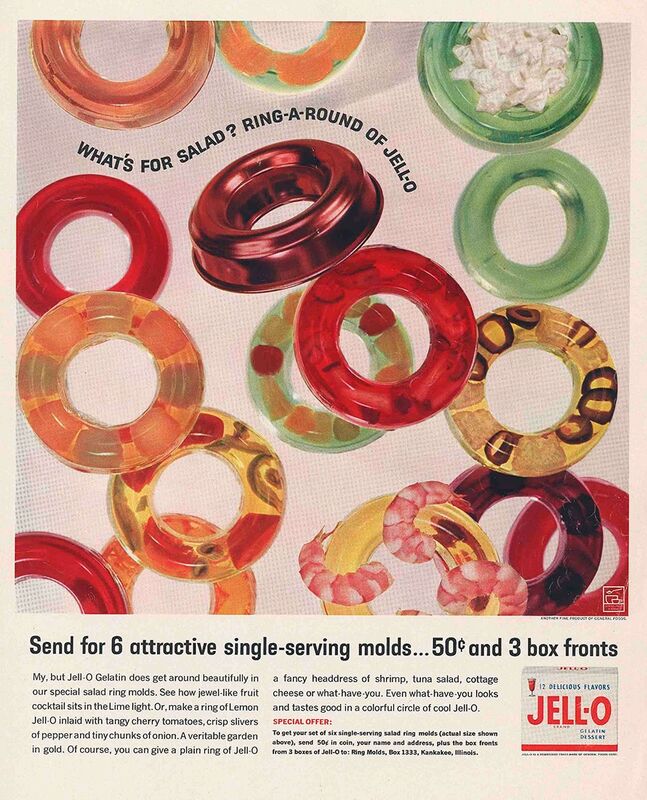 Jell-O's coloring helped it pop when colored ads were introduced. The rest is history, as they say, and that history lives on in Le Roy, N.Y., a working-class town located just south of Rochester that once served as Wait’s home and Jell-O’s birthplace. Lynne Belluscio, 73, runs the LeRoy Historical Society and its Jell-O Gallery museum, whose small but charming collection of Jell-O memorabilia and historical documents helps tell the gelatin dessert’s fascinating tale. Though there’s lots of information available about Wait and Le Roy’s Jell-O factory, which operated in town until 1964, the gallery focuses specifically on Jell-O’s advertising, which helped transform Jell-O from a tasty powdered treat to a pervasive name brand. 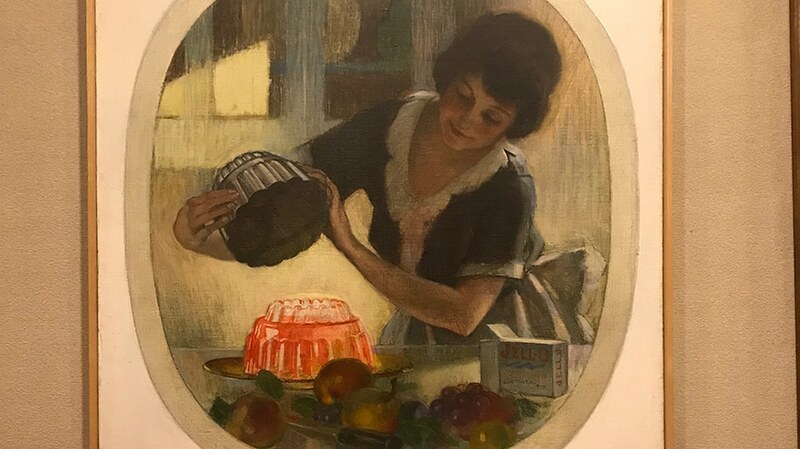 Jell-O’s own story starts in 1897 when the aforementioned Wait concocted a flavored, colored gelatin dessert you could purchase in a ready-to-make package. Wait wasn’t the first person to birth gelatin from instant powder—according to the New York Times, that honorific goes to Peter Cooper, of Cooper Union fame—but he was the first to brand it. 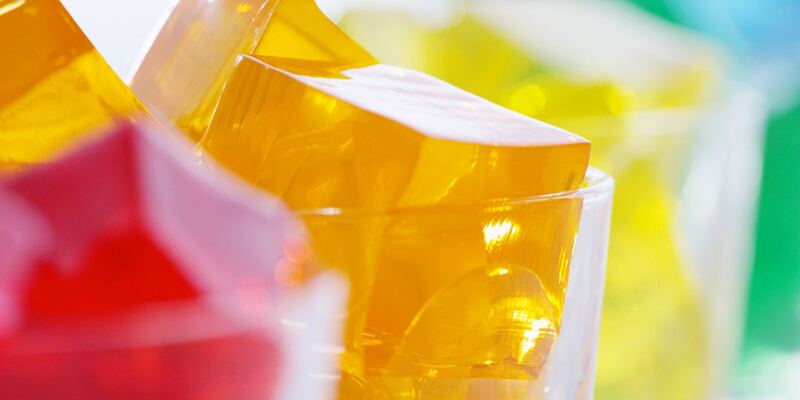 Wait’s wife, May, suggested the name Jell-O, which Wait patented and copyrighted. “There were other flavored gelatins around, but the brilliance of that was, to say, ‘We’re going to call this Jell-O,’” Belluscio said. Wait didn’t know how to market his good idea, though, so in 1899 he sold the name to a Le Roy businessman named Orator Woodward, for $450 (about $12,000 in today’s currency). “It’s really Orator Woodward and his successors who propel Jell-O into becoming, ‘America’s Most Famous Dessert,’” Belluscio said.